A white male suspect, now positively identified as Benjamin Darby Altizer, handed a note to pharmacy personnel that stated that he had a gun and would shoot them if they did not comply. The note also included a list of narcotics that he was demanding. In fear for their safety, pharmacy personnel turned over an undisclosed quantity of prescription medication. Mr. Altizer took the medication and immediately fled the scene. Mr. Altizer is a 36 year old white male. He is approximately 6 feet, 4 inches in height and weighs roughly 245 pounds. He has brown hair and blue eyes. His last known address is 108 Daybreak Drive in Elizabethton. He is considered armed and dangerous and should not be approached. Anyone who knows where he can be located is asked to contact K.P.D. 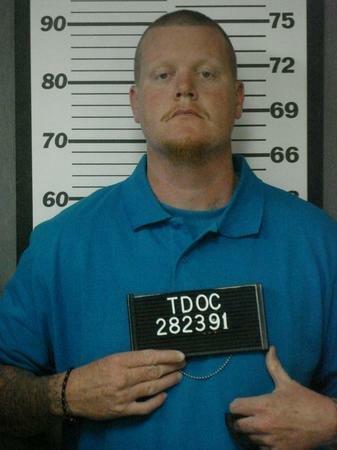 Detectives at 423-229-9429 or call Kingsport Central Dispatch at 423-246-9111.